Safeguarding your home against potential intruders is of the utmost importance for ensuring your and your family’s safety. Although you cannot completely eliminate the risk of home burglary, you certainly can minimise it by combining several safety measures. Each and every one of the following steps can significantly reduce the chances of your home being broken into. Having a relationship with your neighbours is important if you want to feel safe in your neighbourhood. In case of emergencies, knowing that you have someone to help you means the world. Take some time to get to know the people next door, and don’t hesitate to ask them to watch over your house while you’re away. Of course, don’t forget to return the favour when they’re in need. Although having an alarm system installed will require professional assistance, it has been proven that security systems act as a powerful deterrent to potential intruders. Depending on your needs and budget, you can choose between different packages, but the basic components you should have are an alarm, motion sensors, and smoke and carbon monoxide detectors. Additionally, you can have a surveillance system installed to keep an eye on your property. It doesn’t have to be state-of-the-art – even several basic cameras will do the trick. Regardless of whether you actually have an alarm system or not, you should use alarm system yard signs and window decals. Burglars won’t test their luck with houses with alarm signs. Instead, they will just skip them and move to a house without such warnings. However, if you do have an alarm system, under no circumstances should you reveal the brand – it might help potential intruders figure out how to disable it. Burglars will rather break into your home while you’re away for several days, which is why they often spend time observing a house they’re planning to break into. Therefore, it’s important that you create an illusion of occupancy even if you’ve gone on a trip. You can easily achieve this by cancelling your newspaper delivery while you’re away, asking your neighbours to check your home from time to time, have someone mow your lawn or purchasing a barking dog alarm. The more illuminated your house is, the less likely it is that it will be broken into. You can have motion sensor lights installed outdoors to keep burglars away from your property. As for interior lighting, you should opt for lights on a timer that will turn on and off randomly as if you’re moving from one room to another. You can even get a flickering light to make an impression that someone’s watching TV inside the house. It’s not uncommon for burglars to break into a house through the front door, so you should make sure that yours is properly secured. 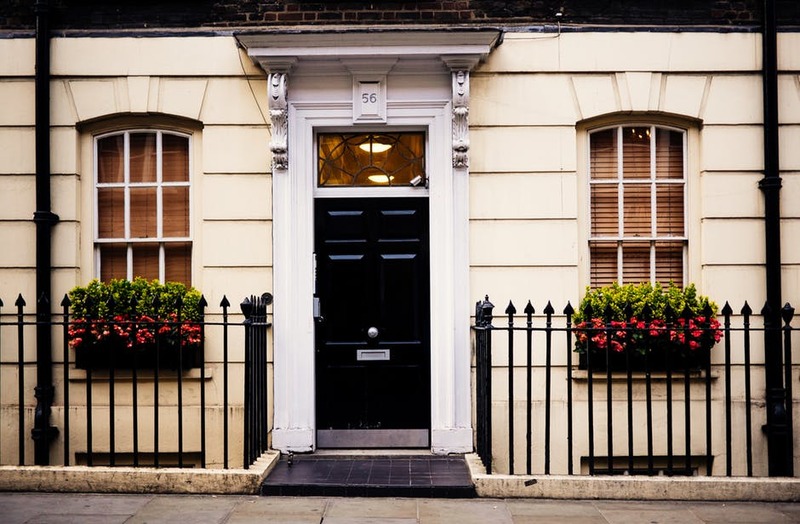 You can replace your old wooden doors with solid aluminium doors that will make your entrances more secure, even more so if you have a deadlock installed. When it comes to windows, you should opt for those with locks and shatterproof glass. You can also install window stops that will prevent potential burglars from opening more than several inches. Despite your efforts to secure your home, there might be some mistakes that you keep making and that can compromise your home security. Namely, you should keep your doors locked, even if you’re at home and never leave your windows open when you’re not at home. In addition, you shouldn’t show off your valuables – keep your expensive car in the garage, and keep your blinds and curtains closed to hide what’s inside your home. Finally, eliminate possible hiding spots from your yard, such as bushes or trees that block your front door. By combining these safety measures, you’ll minimise the risk of home burglary and ensure your family’s safety. In addition, don’t forget to seek help both from professionals and your neighbours when you need it.